Men on the road to priesthood or brotherhood embrace the unknown as they enter Franciscan formation. They leave the comfort and security of the lives they’ve always known to embark on a long journey of discernment, service, and prayer toward religious life. It’s a time, both solemn and active, in which they rely heavily on the prayers and generosity of donors like you to sustain them. Becoming a Franciscan can take up to a decade and includes postulancy, novitiate, and post-novitiate. During these times our future friars immerse themselves in the Franciscan way of life. 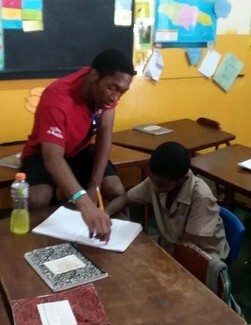 Active service is a core part of what it means to be Franciscan, so at various stages amidst their seminary studies you can also find them serving at our overseas missions, teaching at local high schools, or working in Franciscan non-governmental organizations, such as Franciscan International and Franciscan Action Network. Fr. Richard Goodin, Director of Vocations for the Province of St. John the Baptist, explains that formation isn’t a time when men disappear for years in study and contemplation. 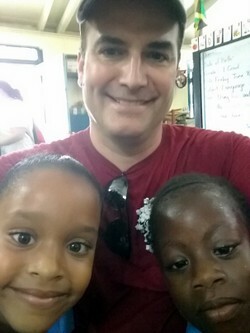 “Even though they are engrossed in seminary studies, it’s amazing how much they work and give back,” he says. We currently have four men in formation here at the Province of St. John the Baptist, with another postulant joining in the fall. The Order of Friars Minor in the United States works together on the formation process – and will continue to do so even more after the friars’ recent vote to form one organization. 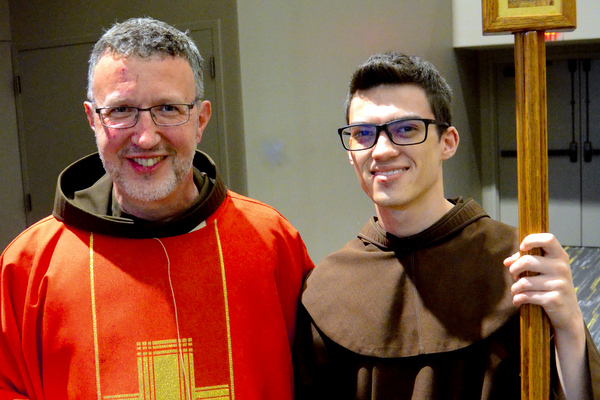 There are currently about 35 men in all of the provinces preparing for life as a Franciscan. Your support of our future friars while they prepare for religious life lets them know that you are grateful for their sacrifice of self. Your support shows that you want to see the faith passed to a new generation, led by a new generation of servants of God. Your support means that you want to see the Gospel in the spirit of St. Francis continue on. Br. Matt Ryan and Br. Raphael Ozoude completed their years in the postulancy and were received into the novitiate in Santa Barbara, Ca., in June. Provincial Minister Mark Soehner writes about the day here. Br. Casey Cole, OFM, is a solemnly professed friar from Holy Name Province studying for the priesthood. 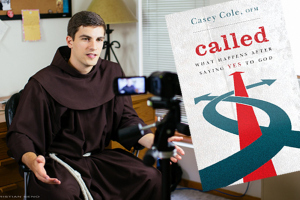 He produces YouTube videos about evangelization and catechesis and recently published his first book with our ministry, Franciscan Media, Called: What Happens After Saying Yes to God. Last month he visited Cincinnati and made this video about his adventures and ministry in our neck of the woods. Would you consider supporting our friars in formation? When you make a donation, choose Seminary Training in the "Use my gift for" drop down box.